On-greasy, easily absorbed to condition beard and skin with a subtle masculine fragrance. A sacred bond between mine with beards, breaking one is unforgivable. Blended from the finest natural ingredients to create a conditioning oil that is absorbed quickly to condition the hair and skin. Our oil is argan oil in its purest form and is NOT DEODORISED. Our partner cooperative El Kheir hold EU organic products certification. Pure unrefined argan oil has a distinct slightly nutty, earthy scent, which varies in intensity from batch to batch, but which disappears a few minutes after application. Captain Fawcett is delighted to have collaborated with the World renowned Dandy & Gentleman about town Mr Ricki Hall in concocting this simply delectable bespoke Moustache Wax. Soften wax between thumb and forefinger, smooth into your moustache in an outwards & upwards motion. Vous pouvez, par exemple, appliquer l’huile de ricin le soir après le démaquillage. Grâce à l’huile de ricin pour cils, les cils sont nourris. Ils poussent plus vite, sont plus fournis, plus épais, plus longs et plus résistants. All these herbs mix and blended in a base of pure and virgin coconut oil to produce Indulekha Bringha Hair Oil. Indulekha Bringha Hair Oil Ingredients 100% GENUINE PRODUCT FROM INDULEKHA. Weight :50ml. DABUR AMLA HAIR OIL 200ML. Prodotto naturale È ottimo per tutti tipi di capelli. Applicare su capelli umidi o asciutti. Pure beeswax provides a great consistency of this beard balsam. 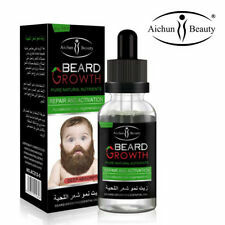 APPLICATION: Provides the best support for your beard so you can style and shape your beard as you want. Ingredients: Argan Oil, Mango Butter, Jojoba Oil, Grapeseed Oil, Beewax, Sweet Orange Oil. L'arganier, cet arbre généreux du Maroc, pousse à l'état sauvage et est depuis des siècles porteur d'une huile qui suscite beaucoup d'intérêt. 100% huile d'argan provenant d'Agadir 1ère pression à froid. That's why Toni&Guy developed a series of products to protect, smooth and prepare your hair for styling and help you create your look from the hair down. Ready to create your style?. Press switch at nozzle to unlock spray trigger. Pour les cheveux, appliquer quelques gouttes, malaxer les cheveux de la racine à la pointe, peigner vos cheveux pour bien répartir l'huile. Laisser agir 1h ou toute la nuit avec une serviette humidifier puis on lave ses cheveux avec son shampoing habituel. This grooming lotion is great for any beard, from that shadow stubble to newfound beards and full-on manly beards. Gentle enough for daily use to help care for the skin at the base of the beard whist helping to soften your beard. 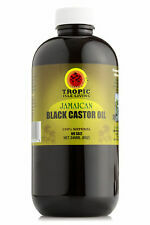 Other Usages: Use Sunny Isle Jamaican Black Castor Oil Beard Oil as a pre-shave oil to help prevent skin irritation from shaving or in place of traditional aftershave products. Das Haaröl besteht aus einer Mischung verschiedener pflanzlicher und mineralischer Öle. Amla wird im Ayurveda als die Frucht der Jugend und Schönheit bezeichnet. Neben der sofort sichtbaren optischen Wirkung fördert vor allem die Amla-Frucht das Wachstum langen und gesunden Haars. Absorbs instantly leaving no oily residue. Natural World Brazillian Keratin Soothing Therapy Hair. Luxurious and lightweight leave-in formula infused with precious Keratin. TWO 25ml BOTTLES WILL BE SUPPLIED TO MAKE UP THE 50ml. 2x Garnier Fructis Serum (2 x 84mL) -Stemoxydine 5%. CONTAINS 5% STEMOXYDINE CERAMIDE ACTIVE FRUIT CONCENTRATE. This patented molecule by L'Oreal (for hair regrowth) has the power to revitalize the follicle and stimulate the natural renewal process of hair. Il existe diverses manières de faire usage de l’huile de carotte. L’huile de carotte est une excellente substance régénératrice, hépatocellulaire et anti-inflammatoire. Contenance: 2 flacons de 30 ml spray. Marseille Soap. Natural burdock oil nourishes, strengthens the keratin structure, hair follicles, the anchoring of a hair in the scalp. Horsetail extract is a recognized natural ingredient for hair prone to falling out and dandruff. Haarserum. Verbessert die Kämmbarkeit. Spendet Glanz und Geschmeidigkeit. FUDGE PROFESSIONAL LIGHT HED-ED HAIR OIL ~ LIGHT & DRY SPRAY 50ML -. Condition is New. Shipped with Royal Mail 1st Class. G.B.S. 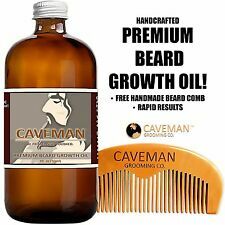 BAY RUM Beard Oil has a amazing Bay Rum scent with soothing coconut after notes. 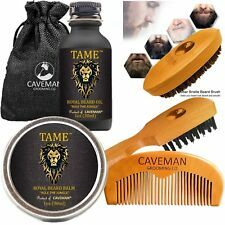 This product is also designed to treat the skin under your beard preventing dandruff and flaking to keep your beard life comfortable.the way it should be! The rich lather thoroughly removes residue from your hair and scalp. MADE IN KOREA. No paraben, silicon free. *No.1 Selling Argan Oil Listing on eBay Over 6000 Sold! A potent hair rejuvenator, it promotes faster. and healthier hair growth. It also an effective scalp energizer and has a clean all-natural scent that most users appreciate. Effective scalp energizer. Then wash your hair using your favourite khadi hair shampoo. Amla Ayurvedic Hair Oil - Against Hair Loss & Thinning. Marseille Soap. Reduces hair loss and thinning. Suitable for use after colouring with herbal hair colours. Efficacious Ayurvedic ingredients known to promote hair growth. Improve blood circulation to follicles. Gives you long, thick & healthy hair. PEO can aid beard growth through a variety of factors. Unlike many essential oils, PEO isn't anti-androgenic and doesn’t block DHT. A 2014 scientific study found PEO to be 60% more effective for hair growth than Minoxidil, a popular FDA-approved hair loss drug, without any of the chemical side effects.